I recently discovered a fantaastic discount grocery store in my neighborhood. One of the great bargains that I find nearly every time I visit the store is packages of fresh strawberries, blackberries, raspberries or blueberries for under a dollar (or sometimes even two for one!). That's an incredible price, especially since Haiden can eat blackberries and blueberries by the handful! Unfortunately, the berries are usually at the discount store because they're close to expiration. I wasn't about to buy an expensive fruit and vegetable wash, so I just made sure to buy only what we could eat within the same day or the next day. 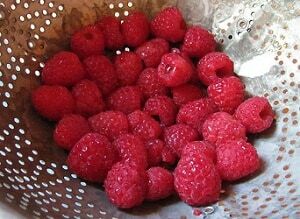 Then, a friend told me about this fantastic homemade fruit wash to keep fresh berries from getting moldy. 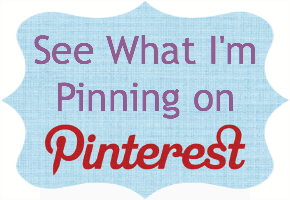 If you like this post you can easily share it with others when you pin it on Pinterest! Mix 2 tablespoons white vinegar and 2.5 cups of water in a medium bowl. Increase this to 1/4 cup vinegar and 5 cups water if you have a lot of berries. Drop the berries into the solution and gently agitate the mixture. 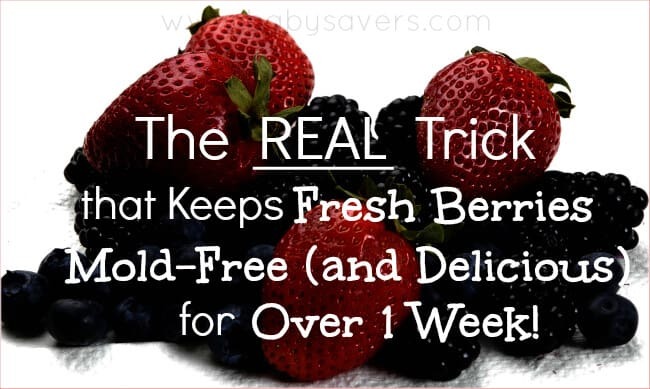 Make sure all surfaces of the berries touch the vinegar solution! Gently shake berries dry. Store in a container in the refrigerator until you're ready to eat. I've always been a fan of Tupperware Fridgesmart containers, but this $8 adjustable Berry Keeper looks great and has fantastic reviews! This homemade fruit and vegetable wash to keeping berries from getting moldy costs just pennies and has definitely saved me from wasting money on produce that spoiled before we ate it. I'm hoping it helps a few of you out, too! If you like this post please pin it on Pinterest and follow me to share in some great finds! What a wonderful tip! Thanks for sharing! What store are you able to get berries so cheap? Any problems with the berries fermenting? We seal our berries in plastic baggies when we go on vacation and after about a week in a baggie, all of our uneaten strawberries and blueberries tasted like they were ready to make wine. About the only things that survived were the cherries and grapes and they ended up being slimy. Nothing got moldy, but we had to throw everything that was left in the garbage. Just wondered if maybe the vinegar does something that keeps them from fermenting. Do the berries taste different then? That would be such a money saver! The berries don’t taste any different. I remember reading somewhere that the scent of vinegar evaporates fairly quickly, plus it’s pretty diluted, then rinsed off anyway. I think if there are any traces of vinegar left after rinsing they go away pretty quick! Thanks for the tip! I just need to know what kind of vinegar. White? Red? Thank you so much for sharing! I hate when my berries get moldy! Definitely trying this! I totally missed this comment! Laura, there’s a new grocery store open in Blaine. I think it’s called Blaine Discount Foods. It’s in an old gas station and it doesn’t have the best outward appearance, but the deals inside can be fabulous! They said they’re independently owned, but they collaborate with Mike’s to share some of the bigger purchases. If you have plastic (tupperware-like) bowls, install a FiZZ GiZ plug valve in the lid of one of them (drill 5/32″ hole and pull the plug through). Make sure your berries are completely dry before putting them in your bowl. With pretty much any CO₂ dispenser, you can purge most of the air from the container. Fit the top onto the bowl, leaving one corner open to vent the air while dispensing CO₂ into the container through the FiZZ GiZ plug valve. No air means no oxygen. You’ll get another 5-7 days enjoyment of mold-free berries while the modified atmosphere inside your container protects your berries from mold growth. For a scholarly article explaining how it works, go to http://www.USDA.gov and type “ControlAtmosphere.pdf” in the search bar.